Policy makers, NGO representatives, and private sector leaders from over 30 countries will gather in Amman from April 28-30 to share solutions and form partnerships to address the challenge of youth unemployment in the Arab world. Organized by regional social initiative Silatech and hosted by the International Youth Foundation (IYF), the “Arab Youth Employment: Promoting Innovative Solutions to Longstanding Challenges” conference will showcase innovative, evidence-based approaches to youth employment that are being implemented by leading youth-serving organizations from throughout the region and the world. The conference is being sponsored by the World Bank and the Americana Group. It is also supported by the Jordan Chamber of Industry. While youth unemployment is a global challenge, the need for scalable, effective youth employment programs is particularly urgent in the Arab world, as youth unemployment in the Arab countries is the highest of any region in the world, and continues to grow. The jobless rate among Arab youth has increased from 24% in 2009 to 29% in 2014, while entrepreneurship has declined over the same period. During the three-day conference, participants will share lessons and experiences about a wide variety of topics related to youth employment, including financing for young entrepreneurs, engaging the private sector for youth skills development, the benefits of technology in employment solutions, social enterprises and inclusive business models, and many more. The conference will give special attention to the process of creating successful youth employment policies and initiatives and creating opportunities for practitioners to replicate and grow effective programs throughout the region. Acting Silatech CEO Mohammed Al Naimi and International Youth Foundation CEO William S. Reese will open the conference with welcoming remarks on Tuesday, April 28. A member of the Silatech Board of Trustees and Executive Committee, Mohammed Al Naimi became Acting CEO of Silatech on April 1 following the recent departure of Dr. Tarik M. Yousef, who served as Silatech CEO from mid-2011 through March 2015. High profile policy makers slated to address the event will include HE Dr. Nidale Katamine, Minister of Labor (Jordan), HE Eng. Adel Fakeih, Minister of Labor (KSA), and HE Dr. Talal Abu Ghazaleh, Founder and Chair of the Talal Abu Ghazaleh Organization (Jordan). Other policy makers from Egypt, Jordan, Iraq, Palestine, and Saudi Arabia will be participating in the conference as well. 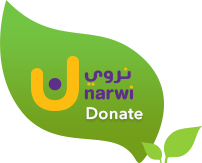 Leading organizations represented at the conference will include the World Bank, the International Labor Organization, Oasis 500 (Jordan), Tamweelcom (Jordan), Mowgli (UK), Save the Children, United Nations Development Programme (UNDP), Beyond Reform and Development (Lebanon), the Abdul Latif Jameel Poverty Action Lab (USA), Ahead of the Curve (Egypt), Tawasul (Oman), Rwaq (KSA), the RAND Corporation (USA), Al Amal Microfinance Bank (Yemen), Ruwwad (Jordan), the Jordan Federation of Tourism Associations, Bayt.com, Injaz Jordan, MicroCred (Tunisia), World Learning, the Egyptian National Competitiveness Council, Silicon Baadia, IHEC Carthage (Tunisia), and GIZ (Germany). Conference registration is open now. 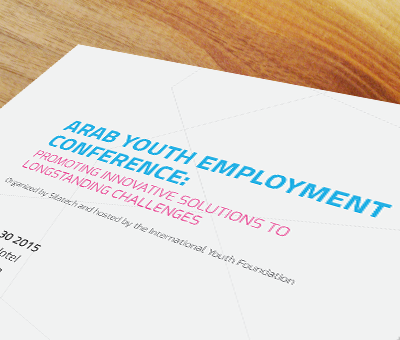 For more information about “Arab Youth Employment: Promoting Innovative Solutions to Longstanding Challenges,” see the conference Website at www.aye2015.org.